This Case master Wallet Dart Case is great to keep your set of darts and accessories organized and secured. Great for traveling. 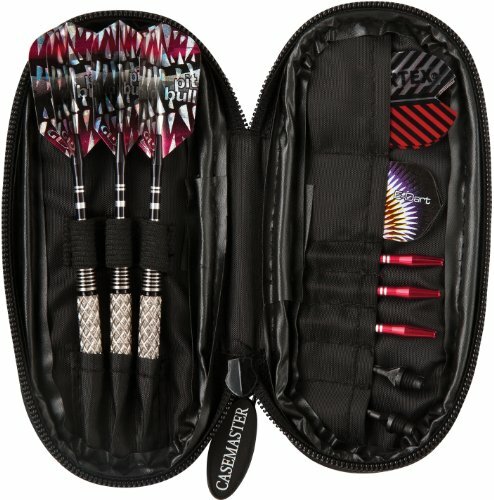 Case master Dart Cases by GLD Products have been consider to be one of the best dart cases in the industry for years. Accessories not included. This Case master Dart Case Features: Durable black vinyl Compact size Holds 1 complete set of darts 6 pockets for easy storage Belt loop on back Case measures 7H x 3 1/2W x 1D PRODUCT NOT INCLUDED. View More In Cases & Wallets.